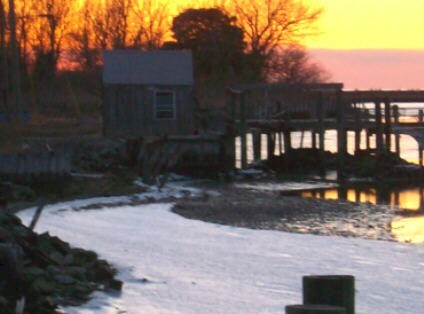 Here are some of my favorite photos showing you parts of Smith Island. Hope you enjoy! 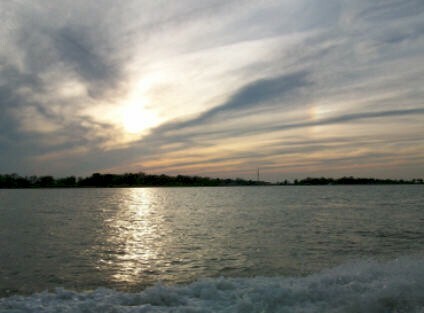 Leaving the Island on the 4:00 p.m. evening ferry ride back to Crisfield. Fall is one of my favorite times of the year, the sky is beautiful every evening with so many different colors. 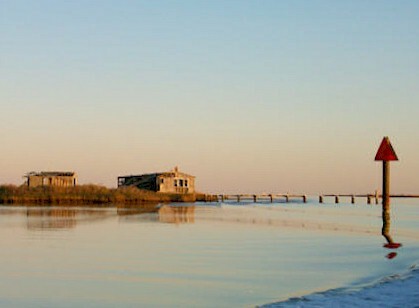 This old gunning lodge is a Smith Island landmark that you will see on your right when you are approaching the island. Time and weather are taking it down. 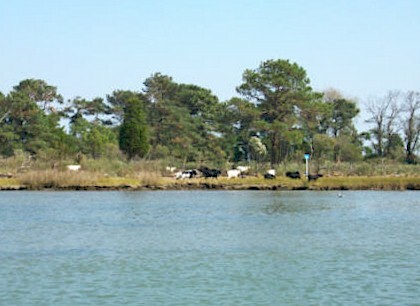 People call this Goat Island. You can sit back and watch the entertaining goats right from my porch. If you are an early riser and like to jog, walk or bike, ride out to Rhodes Point and catch the sunrise. 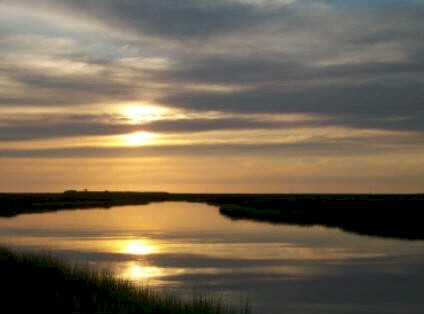 Take in Mother Nature's sounds as the sun approaches the horizon. Winter can be very cold on the island but it inspires some wonderful pictures. 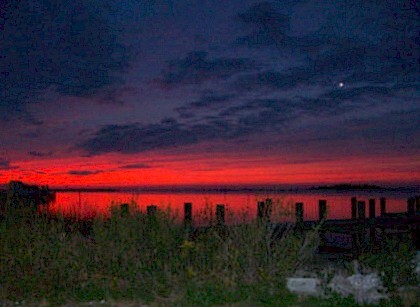 Here is one of my favorites taken just outside my door.